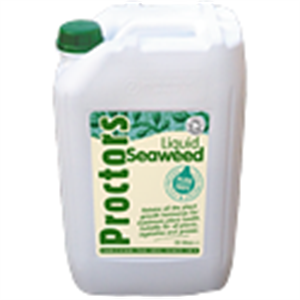 Proctors Cold Pressed Liquid Seaweed retains all of the phyto-hormones (Auxins, Betaines, Cytokines and Gibberellic acid) to encourage healthy grass growth. Perfect for paddocks, Proctors Liquid Seaweed ensures your paddock has healthy grass, without the risk of excessive top growth. Diluted at a ratio of 1:40 with water, 10 litres of Proctors liquid seaweed will cover 1 hectare of lawn or pony paddock, applied every 6-8 weeks during the growing seasons. Harvested by hand, Soil Association Approved and part of an environmental management plan, using Proctors Liquid Seaweed is the natural way to obtain healthier paddocks and grassland.